If you check Instagram, you’ll probably follow some influencers or bloggers who fill their feed with so much good stuff. From the latest fashion trends to different travel locations up to the delicious meals. And when I say delicious meals, I mean these are dishes that look too impressive to eat. They’re aesthetically pleasing and are super healthy as well. Sounds nice right? So to up your Instagram account, here are some foodie bloggers who you should follow. They’ll make you happy and hungry and can inspire you to get into cooking. So check them out and let me know what you think! 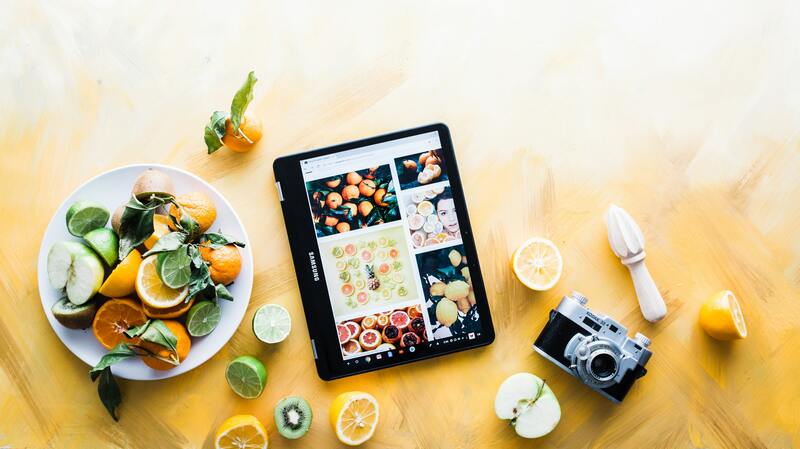 A photographer who takes pride in taking awesome pictures of different produce, this food Instagrammer will definitely fill your feed with so many great posts of still lifes of fruits and vegetables that you would actually want to frame. Check out Kimberley’s Instagram here! Pinch of Yum will actually make you look forward to eating salads and a lot more of healthy dishes. Made by a food enthusiast couple, this food Instagram has an appetite for almost anything. You can find vegetarian dishes and desserts, noodles, curry, lentils, and pasta recipes that you will want to totally want to try at home. Check out Pinch of Yum’s Instagram here! Created by Jenny and Teri, food stylist and photographer duo, this food Instagram will show you plenty of mouthwatering dishes with easy steps on how to recreate them at home. Whether you’re looking for some quick healthy recipes or easy to whip desserts, this account has got you covered. Check out Spoon Fork Bacon’s Instagram here! True to its name, this food Instagram showcases easy and minimalist recipes that you will definitely want to try at home. Lucia specializes in easy bowl recipes and Asian-inspired dinners with plenty of flavors. So If you’re planning to host a dinner at home, then you should definitely check this account. Check out Lucia’s Instagram here! A great combination of greens and cookies that are usually showcased on top of beautiful and white marble. Lindsey’s Instagram has a lot of sumptuous home cooking recipe that’ll inspire you to finally eat your veggies and get started in cooking. Check out Lindey’s Instagram here! Tieghan is a cookbook writer and has equal regard for dishes that are healthy and comforting. She shares beautifully shot recipes for dishes like superfood bibimbap with crispy tofu or her sweet potato gnocchi with rosemary parmesan sauce. Check out Tieghan’s Instagram here! If you’re a vegan lover, then this food Instagram is a must to follow. You can find plenty of vegan dishes, great meat alternatives, and endless ways to reinvent the green stuff. Check out Shelly’s Instagram here! Another awesome cookbook writer, Alison is fond of creating yummy and aesthetically pleasing cookies and dishes that she features from her super popular cookbook, Dining In. You’ll love everything that she cooks and will totally inspire you to recreate at home. Check out Alison’s Instagram here! Focusing on delicious breakfast bowls and other healthy recipes, this food Instagram creates the most aesthetically-pleasing ingredient art for her original recipes. Her feed is filled with colorful but moody photos and artistic enough that you want to sit back and admire. Check out Ashely’s Instagram here! Speaking of bright and colorful, Gabriel’s Instagram will be a feast for your eyes. His feed will definitely wow and impress you. With naturally-lit shots of genuine culinary adventures, there’s nothing not to like. Check out Gabriel’s Instagram here! Now, who are your favorite food Instagrammers? Be sure to let us know in the comments below, I’d love to see them!